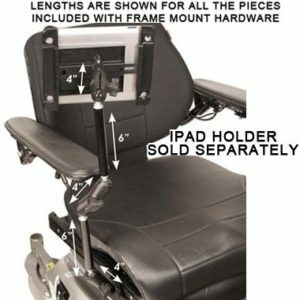 The portable Toilet Seat Riser fits elongated and round seats, raising the sitting surface 3-1/2″. The two-piece design leaves the front and back open for personal hygiene, and is easily attached and removed from the toilet seat. Sealed urethane foam provides stability and is easy to clean. Each piece is 12″ long and 4″ wide. Comes with black and blue carrying case. Manufactured by Therafin. 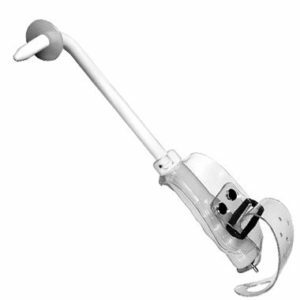 Digi-Sert bowel stimulator features a handle which secures to a flail hand with a comfortable vinyl strap. Designed for use on an elevated toilet seat. Suitable for right or left handed use. 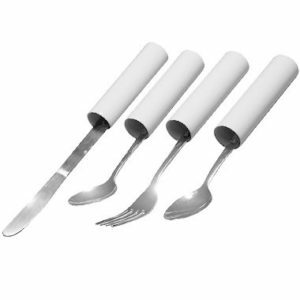 Has a 4-1/2″ long plastic handle, and the tool end is 4-1/2″ long with 2″ long end piece. Manufactured by Therafin. 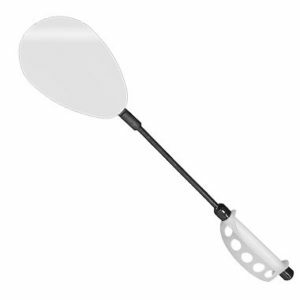 4″ x 6″ oval double-sided break-resistant lightweight mirror has an adjustable hand loop. Flexible shaft is 9″ long, overall length is 19″. Latex free. Manufactured by Therafin. This Double-Sided Toothbrush features short even-length bristles on one side, and longer contoured bristles on the other side. It is mounted in a secure base, which features suction cup feet to hold the unit securely in place. Manufactured by Therafin. 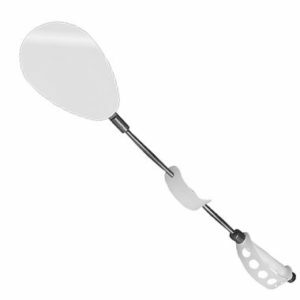 Each of these bowel management tools features a handle which secures to a flail hand with a comfortable vinyl strap. Designed for use on an elevated toilet seat. Suitable for right or left handed use. Choose between using the Digi-Sert bowel stimulator attachment or the Supp-A-Sert suppository expelling attachment, as the Combo model comes with both attachments, either of which lock into the 4-1/2″ long plastic handle. Both attachments are 4-1/2″ long with 2″ long end pieces. Manufactured by Therafin. 4″ x 6″ oval double-sideed break-resistant mirror has an adjustable hand loop. Flexible shaft is 12″ long, overall length is 23″. Additional finger loop on the shaft aids in holding and manipulating the mirror. Latex free. Manufactured by Therafin. 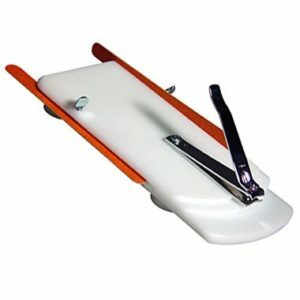 The Nail Care Center features a large pivoting nail clipper, two slots to lock Emery boards into a vertical or horizontal position, and suction cup feet to secure the unit in place. Manufactured by Therafin. 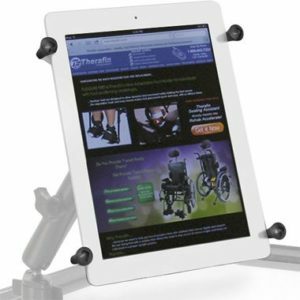 Therafin’s Communication Channel Mount is designed to work with the Phone and Tablet Holders (purchase separately) to secure your device directly to your wheelchair frame. 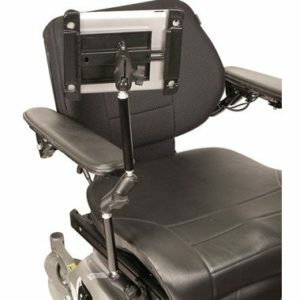 Choose from 2 Channel Mounts that attach to the channel (track) on the armrest, back or seat of a Permobil Corpus 3G® wheelchair or a Pride Quantum TB3® wheelchair. Manufactured by Therafin. The Button Hook / Zipper Pull eases buttoning by sliding a spring steel loop into button hole to pull button through, and assists in pulling zippers with a small steel hook firmly embedded in the 5-1/2″ long ribbed handle. Manufactured by Therafin. Sold in pairs. 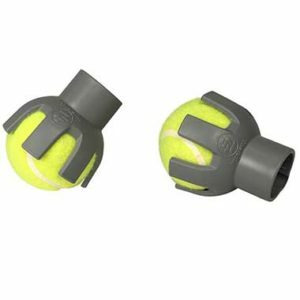 The molded internal stabilizer provides exceptional stability by securely attaching the tennis ball onto the walker leg. The stabilizer also protects the tennis ball from the sharp edges of the walker leg, extending the life of the glide. 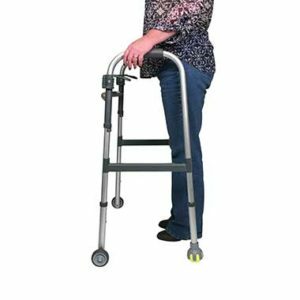 They work on any standard walker with 1″ tubing, and are latex free. Save $22.00 when you buy 20! 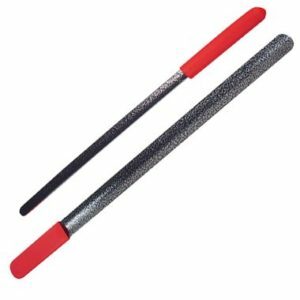 E-Z Slider Shoehorns are 24″ long smooth coated steel with a 6″ non-slip red hand grip. Latex free. Manufactured by Therafin. 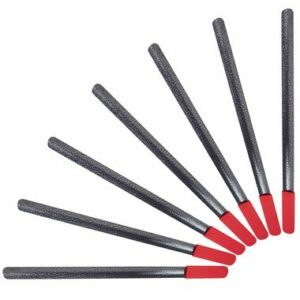 E-Z Slider Shoehorns are smooth coated steel with a 6″ non-slip red hand grip. Available in 2 lengths. Easy insertion and removal. Latex free. Manufactured by Therafin. Supports 7″ tablets, including, but not limited to: Amazon Kindle, Kindle Fire and Fire HD, iPad mini, Google Nexus 7, Samsung Galaxy Tab (7â€) and Galaxy Tab A, S and S2 (8â€). 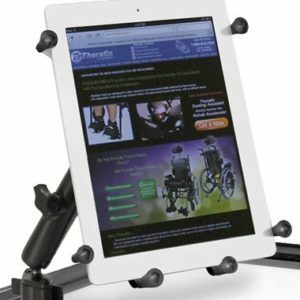 The 7″ tablet holder features 4 spring loaded rubber tips to ensure a snug fit around any tablet.